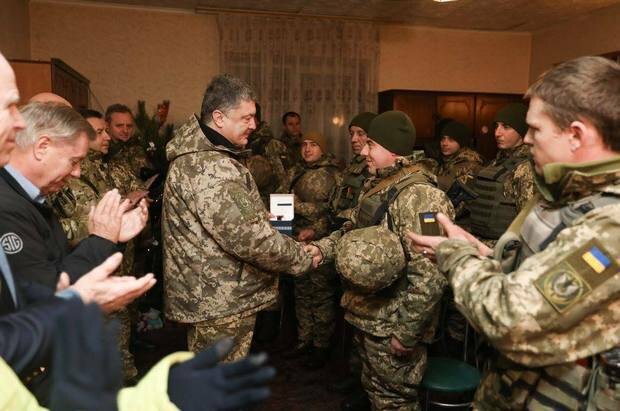 Ukraine's military command gathers in the front-line area. 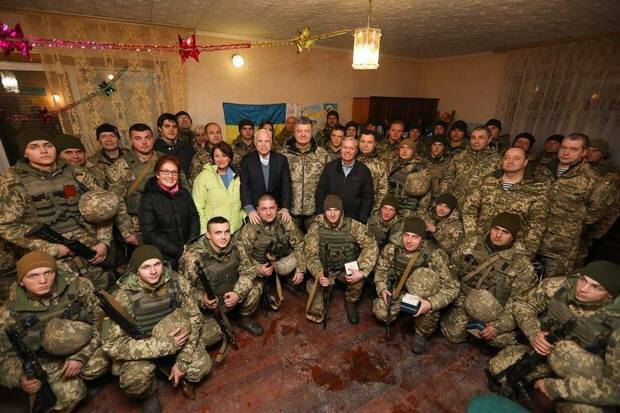 Ukrainian President Petro Poroshenko, US Senators John McCain, Lindsey Graham and Amy Klobuchar, US ambassador Marie Yovanovitch, Ukraine's National Security and Defence Council Secretary Oleksandr Turchynov, Defence Minister Stepan Poltorak and General Staff chief Viktor Muzhenko came to Shyrokyne, Poroshenko's press secretary Svyatoslav Tseholko has said. 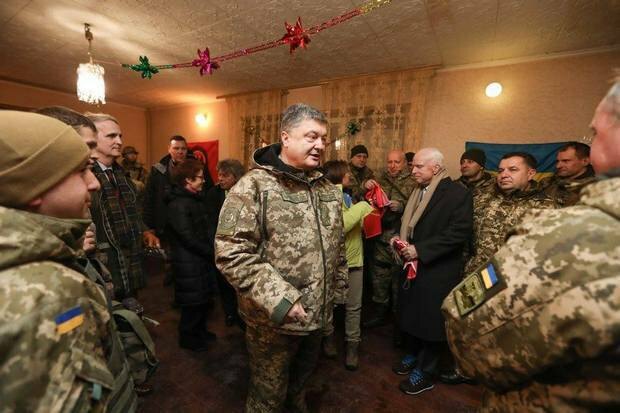 "The president and the US senators arrived at the command point near Shyrokyne to wish marines a Happy New Year," he said on Facebook. 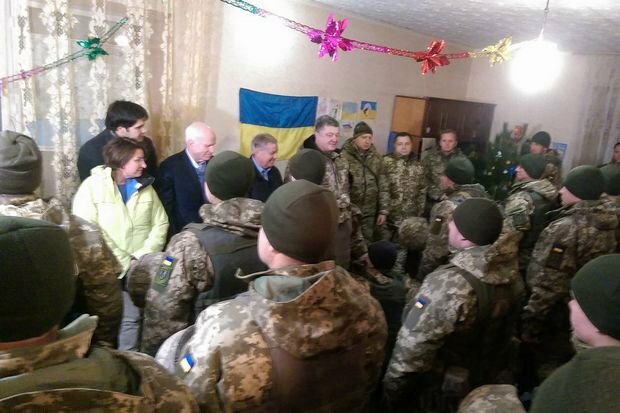 Poroshenko's press service added that Poroshenko and the senators visited the 36th detached marine brigade. The president also chaired a briefing during which the staff chief reported on the situation in the antiterrorist operation area, including in the M sector. 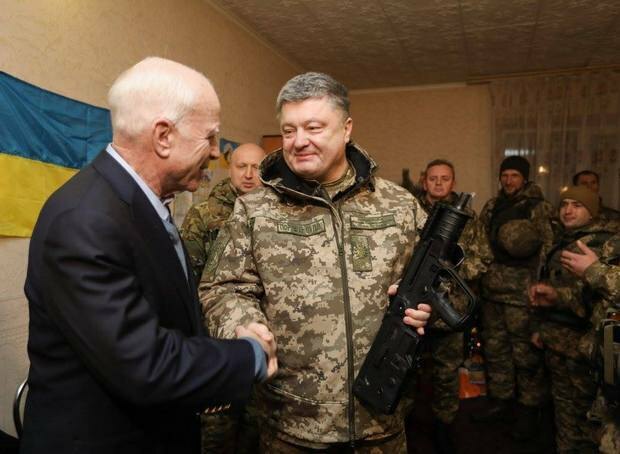 Earlier, President Poroshenko awarded McCain the Order of Freedom, Ukraine's top award for foreigners, and Graham the Order of Yaroslav the Wise. Ukraine says UN resolution on Israel "balanced"
Ukrainian reports record 23 militant attacks amid "cease-fire"